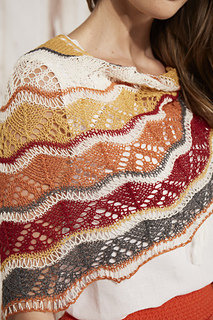 This shawl is worked from the top down with increases at the edges. The lace pattern can be worked either from the chart or the written instructions, whichever you prefer. 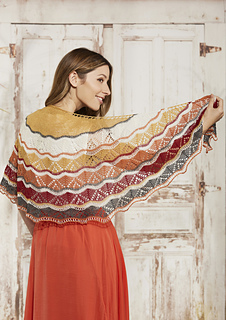 This pattern is available in Knit Now Issue 77. Digital editions are available via PocketMags and physical copies are available to order online from MoreMags.